Starring: Mahira Khan, Haroon Shahid, Zarrar Khan, Naimal Khawar, Rasheed Naz, Salman Shaukat, Shaid Mir, Shehzad Mir & Others. Verna was promoted as a film with a message and it was also quite apparent from the promotions that Mahira Khan and Shoaib Mansoor were the USP of this film. Shoaib Mansoor hasn’t only written, directed and produced this film but he has even written the lyrics for all the songs in the film. Anyone who has seen the trailers of the film must be well aware of the main plot. The question is does the film have enough surprises in store and is it well executed or not? While Verna succeeds in showing the mentality of many of the politicians who are at the helm of affairs in our country faultlessly, it fails to do justice to the other track which covers a victim’s story . Many of the dialogues in the film have done-to-death written all over them, the kind of things we read and hear about all the time. There are a few hard hitting dialogues in the film but there are so many others which fall completely flat because you hear the characters say those things but you don’t actually feel them. The trials and tribulations of Sara (Mahira Khan) aren’t translated on screen in such a way that you truly feel for her. Although Sara’s character is the best thing about the film but there were times when I had a really difficult time connecting to her character. Her strength was admirable but some of her decisions and actions did not go well with the otherwise serious and realistic theme of the film. The introduction to the characters is simplistic and the relationship between Sara and Aami (Haroon Shahid) is probably the worst part of the film. Aami’s character is almost unbearable, his only role in the story is to give people the message that children should be given polio drops. There are times when his scenes are laughable. There is absolutely no chemistry between Haroon Shahid and Mahira Khan perhaps because of the fact that their relationship doesn’t have a lot to offer. The “love” that exists between them doesn’t really come alive on screen which is why it is difficult to feel for them when they are going through hell. Verna’s plot is interesting but the execution is poor. 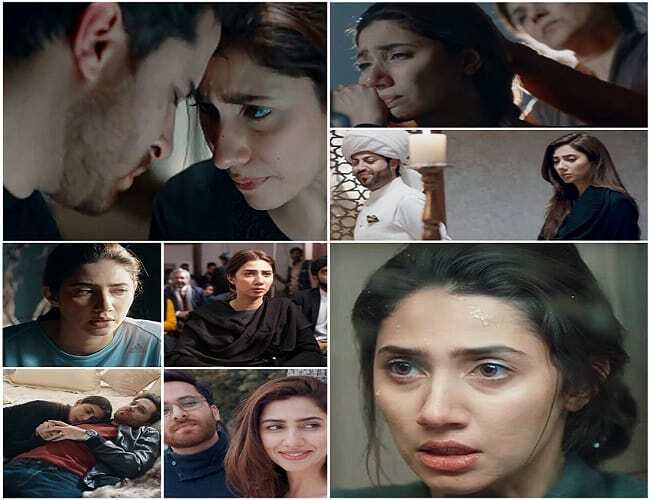 While Mahira Khan performed well and did the best she could to do justice to her character, there were some scenarios so weak that even her acting did not appear to be effortless. Haroon Shahid and Aami both are the worst thing about this film. Aami’s character is poorly etched-out, he is a disabled man both physically and mentally. I am wondering what Shoaib Mansoor was thinking, did he think that a line of weak characters will make his heroine look even more powerful? This film has some of the weakest supporting characters including the parents from both sides. Zarrar Khan performed brilliantly in the film but his character too didn’t have a lot to offer. There were times when it seemed like Sara was the only wise person around!! Naimal Khawar also did complete justice to her character. Adding a few more strong and intelligent supporting characters would have helped make the film more interesting. Verna reminded me of dramas like Chup Raho and Sangat. This is the first time I watched a film directed by Shoaib Mansoor and the lack of creativity stood out like a sore thumb. He failed to establish a solid relationship between the lead characters which was the film’s biggest drawback. All the songs in the film are meaningful but they are not melodious enough. Even the “happy songs” have not been shot in a creative manner. The director hasn’t used a lot of locations which is why the film has a dull feel overall. Apart from a fierce heroine, this film also needed a likeable hero and more logical ending. Overall, Verna is neither thoroughly entertaining nor as disturbing as it should have been but at the same time it isn’t as poorly executed as Mehrunissa V Lub U. The script lacks depth as well as clarity. It would have been so much better if Shoaib Mansoor focused only on politics and did not drag women’s rights into the discussion since some of the scenarios are just plain ridiculous! How many of you watched the film? Do share your thoughts about it. PS. The movie deserves 2.5 rating but since there is no option of .5, I gave it 3!